Custom mugs from LogoToYou.com are a must-have for businesses serious about their branding. 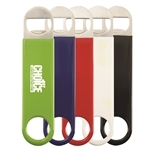 We offer a vast selection of promotional drinkware items that are priced to sell. From travel to coffee, acrylic, ceramic, and even glass cups, you can choose the perfect product for your marketing endeavors and customize your selection with your logo and message. Custom Frost Flex Stadium Cup is made of durable acrylic material. Custom Stadium Cup w-Optional Lid 16oz is made of 25% recycled post-industrial polypropylene material. Custom USA Made Stadium Cup is made of 25% recycled post-industrial polypropylene material. Custom Frost Flex Stadium Cup 16oz is made of durable acrylic material. Personalized Rally Stadium Non-Toxic Cup 22oz is made from biodegradable, recycled polypropylene. Custom Color Changing NEW Stadium Cup 17oz is made of durable material. Custom Mini Party New Cup 2oz is made of 100% acrylic. Custom Mood Color Changing Stadium Cup 22oz is made of durable material. 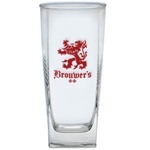 Promotional Pint Imprinted Glass 16oz is made from high-quality glass. Custom Single Wall Economy Tumbler 20oz is made of polypropylene material. Custom Executive Logo Glass 8oz is made from high-quality glass. Promotional Old Fashion Executive Glass 11oz is made from high-quality glass. Customizable Old Fashion Double Executive Glass 14oz is made from high-quality glass. Custom Deluxe Cooler 15oz is made from high-quality glass. Custom Double Wall Economy Tumbler 16oz is made of 25% recycled post-industrial HDPE material. Logo Imprinted Sizzle Tumbler 16oz w/Straw comes with single-wall construction. Custom Tri Edge NEW Polypropylene Cup 16oz is made of Tri-Edge™ 100% polypropylene material. Custom Color Changing Econo Tumbler 16oz is made of polypropylene material. Promotional Optic Haworth Coffee Mug 10oz is made from high-quality glass. Custom Haworth Glass Coffee Mug 10oz is made from high-quality glass. Custom Cruiser Mug 16oz comes with plastic thumb-slide lid. Custom New Current Tumbler 20oz is made of lightweight material. Custom New Cove Tumbler 15oz is made of lightweight material. Custom Infinity Tumbler w-Sip Thru Plastic Lid 16oz is made of durable insulated material. Custom Omega Mug w-Slider Lid 16oz is made of durable insulated material. Custom Pub Glass 16oz is made from high-quality glass. Promotional Capri Glass Logo Coffee Mug 10oz is made from high-quality glass. Custom Nuance Goblet 10.5oz is made from high-quality glass. Logo Imprinted Access Apothecary is made from break-resistant plastic. Custom Two-Tone NEW Tumbler 16oz is made of durable plastic material. Promotional Budget Traveler Plastic Mug w-Slider Lid 16 oz is made from polypropylene plastic. Personalized Optic Logo Mixing Glass 16oz is made from high-quality glass. Customizable Apothecary Jar w-Dome Lid 8oz is made from high-quality glass lid. Custom Clear Imprinted Bud Vase 6.75oz is made from high-quality glass. Custom Acrylic Double Wall Tumbler w-Straw 16oz is made of 100% acrylic. Custom Extreme High Gloss Travel Mug 16oz is made of durable insulated material. Custom Double Wall Eco Tumbler 16oz is made of durable plastic material. Custom Aurora Tumbler w-Straw 16oz is made of lightweight material. Promotional Wake-Up Classic Coffee Cup 16oz is made from polypropylene material. Personalized Good-To-Go Logo Travel Tumbler 16oz comes with double-wall construction. Custom Pub Glass 20oz is made from high-quality glass. Promotional Apothecary Jar w-Flat Lid 8oz is made from high-quality glass. Custom Clear Glass Logo Coffee Mug 13oz is made of high-quality glass. Custom Apothecary Jar W-Flat Lid 8oz is made from high-quality glass. Custom Apothecary Jar w-Dome Lid 16oz is made from high-quality glass. Custom Economy Chic Tumbler 18oz is made of durable insulated material. Custom Aspen Stainless Steel Tumbler 15oz is made of stainless steel and plastic liner. Custom Snack Attack New Tumbler 16oz is made of AS material. Custom Starburst Logo Sport Tankard 12oz is made from high-quality glass. Custom Beverage Sterling Glass 16oz is made from high-quality glass. Promotional Apothecary Jar w-Flat Lid 16oz is made from high-quality glass. Personalized Sterling Logo DOF 13oz is made from high-quality glass. Logo Imprinted Evolve Traveler Mug 18oz is made from polypropylene plastic. Logo Evolve Infinity Imprinted Tumbler 16oz is made from polypropylene plastic. Promotional Apothecary Jar w-Dome Lid 26oz is made from high-quality glass. Custom Carmel Logo Travel Tumbler 16oz comes with double-wall durable construction. Custom Terra Stainless Steel Tumbler 15oz is made of stainless steel and plastic liner. Personalized Starburst Optic Sport Tankard 12oz is made from high-quality glass. Promotional Acrylic Arrondi Mug 14oz is made from break-resistant plastic. Custom Imprinted 26oz Apothecary Jar W-Dome Lid is made from high-quality glass. Custom Irish Champion Coffee Glass Mug 10oz is made from high-quality glass. Custom Stainless Steel Basin Tumbler 17oz is made of stainless steel and plastic liner. Imprinted Cayman Logo Travel Tumbler 16oz comes with double-wall durable construction. Custom Mason Jar w-Matching Straw 25oz is made of 100% tritan material. Custom Double Wall Insulated Aria Tumbler 16oz is made of lightweight material. Custom Stainless Steel BPA Free Tumbler w-Slide Action Lid 16oz is made of stainless steel and plastic liner. Custom Logo Apothecary Jar w-Flat Lid 26oz is made from high-quality glass. Personalized Glass Maritime Tankard 15oz is made from high-quality glass. Custom Midnight Blue Logo Mixing Glass 17oz is made from high-quality glass. Promotional Clear Stem Domaine Flute 6oz is made from high-quality glass. Promotional IM22 Capacity Mug 22oz is made from polypropylene material. Custom Economy Barista Cup 16oz is made of durable plastic material. Promotional Madison Logo Travel Tumbler 16oz comes with double-wall durable construction. Custom Haworth Mug 19oz is made from high-quality glass. 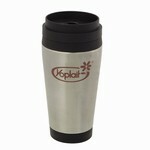 Custom Stainless Steel Insulated Travel Mug w-Slide Action Lid 16oz is made of stainless steel and plastic liner. Logo Imprinted 26oz Apothecary Jar W-Flat Lid is made from high-quality glass. Promotional Vibe Candy Jar 12.25oz is made from high-quality glass. Custom Low Rider Insulated Desk Mug 16oz is made of durable plastic material. Custom NEW Bali Tumbler 24oz is made of durable tritan material. Personalized Logo Glass Mug 11 oz comes with classic shape and thick base. Custom Thermo Insulated Economy Mug 22oz is made of durable insulated material. Custom Double Wall Stainless Steel Tumbler w-Straw 16oz is made of stainless steel and plastic liner. Custom Gripper Stainless Steel Bottle 18oz is made of stainless steel and plastic liner. Custom Glacier Tumbler w-Straw 16oz is made of lightweight material. Custom Canyon Tumbler 17oz is made of lightweight, yet durable material. Custom Color Changing NEW Mason Jar 16oz is made of AS material. Custom Bistro Coffee Clear Glass Coffee Mug 15.5oz is made from high-quality glass. Custom Logo Steel City Travel Mug 14oz comes with black plastic claw handle. Custom Juicer Tumbler w-Straw 20oz is made of AS material. Personalized Cancun Imprinted Travel Tumbler 16oz comes with double-wall durable construction. Personalized Super Saver Steel City Tumbler 14oz is made from stainless. Personalized Jow-to-Go Steel Tumbler 16oz is made from Stainless-steel and Plastic. 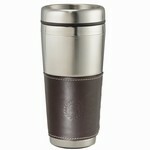 Custom Insulated Steel Travel Mug w-Sip-Thru Lid 16oz is made of stainless steel and plastic liner. Custom Stainless Steel Insulated Diamond Mug 15oz is made of stainless steel and plastic liner. Custom NEW Beyond Tumbler 16oz is made of lightweight insulated material. Custom Luna Tumbler w-Straw 20oz is made of durable AS material. Custom Color Changing BPA Free Tumbler 16oz is made of lightweight material. Custom Stainless Steel Tumbler w-Rubber Grips 16oz is made of stainless steel and plastic liner. Custom Vine Logo Trumpet Flute 6.5oz is made from high-quality glass. Custom Insulated Mug 22oz is made from homogenous polypropylene plastic. Promotional Thumbprint Tankard 25oz is made from high-quality glass. Customizable Steel Tumbler w-Blue Rings 16oz features thermal-break double-wall construction. Custom Stainless Steel Auto Mug 16oz is made of stainless steel, plastic, and acrylic. Custom Apothecary Flair Jar 12.25oz is made from high-quality glass. Custom European Tankard Glass 17oz is made from high-quality glass. Custom Stainless Steel NEW Glossy Tumbler 14oz is made of stainless steel and plastic liner. Personalized Steel Trim City Mate Tumbler 14oz features black plastic interior liner. Custom Biggie Tumbler w-Lid 24oz is made of durable plastic material. Custom Jamaica Logo Travel Mug 16oz comes with double-wall durable construction. Custom Stainless Steel Single Wall Cup 16oz is made of stainless steel and plastic. Custom Thermo Insulated Matte Finish Mug 34oz is made of durable insulated material. Custom Ferdinand Logo Glass Tankard 18oz is made from high-quality glass. Custom Tool Box City Design Steel Tumbler 14oz has Stainless-Steel exterior. Promotional Tool Box City Design Steel Travel Mug 14oz is made from stainless steel. Custom Clear Café Exclusive America Mug 16oz is made from high-quality glass. Custom Double Wall Econo Tumbler w-Straw and Lid 16oz is made of acrylic material. 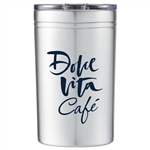 Custom Stainless Steel NEW Milan Tumbler 16oz is made of stainless steel and plastic liner. Custom ThermoServ NEW Hammered Tumbler 16oz is made of lightweight material. Personalized Logo Arrondi Travel Mug 16oz is made from break-resistant durable plastic. 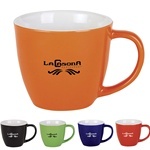 Personalized 4-Color Process Logo Desk Mug 14oz is made from break-resistant durable plastic. Personalized TakeOut Acrylic Tumbler 16oz is designed with double wall insulated construction. Custom Logan Imprinted Travel Tumbler 16oz features double-wall durable construction. Promotional Steel Super Saver City Tumbler 18oz comes with chrome open/close thumb-slide lid. Custom City Sleek Steel Tumbler 18oz is made from stainless steel. Custom Double Wall Bev/Go® Tumbler 10oz is made of AS plastic material. Custom Acrylic Double Wall Tumbler w-Insert 16oz is made of durable material. Custom Double Wall Hydro Tumbler w-Lid 16oz is made of durable acrylic material. Custom Double Wall Stainless Steel Tumbler w-Flip Top Lid 15oz is made of stainless steel and plastic liner. Custom Stainless Steel Tumbler w-Flip Lock Lid 16oz is made of stainless steel and plastic liner. Custom Tritan12 Double Wall Tumbler 12oz is made of durable tritan material. Custom Steel City Mug W-Polished Rings 18oz features insulation with plastic liner. Personalized Rolling Ridge Stainless Steel Tumbler 16 Oz is made from stainless steel and polypropylene. Custom Acrylic Courier Mug 14oz is made from high-quality, break-resistant, heavyweight plastic. Custom Vibe Large Candy Jar 27oz is made from high-quality glass. Promotional Full Color Acrylic Thermal Tumbler 16oz comes with double wall insulated construction. Customizable Pittsburgh Sport Tankard 25oz is made from high-quality glass. Custom Hollywood Logo Travel Tumbler 16oz comes with double-wall durable construction. Personalized Camino Steel City Tumbler 16oz has Transparent Acrylic outer shell and stainless steel air-insulated liner. Custom Stainless Steel NEW Mod Tumbler 16oz is made of stainless steel and plastic liner. Promotional Aria Mug 14oz features durable plastic construction. Personalized Oval Shaped Travel Tumbler 16oz comes with patented oval-shaped construction. 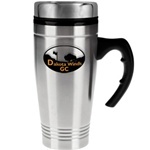 Custom Imprinted Fleet Stainless Steel Mug 18oz features black PVC liner. Logo Imprinted Roller Tumbler 16oz is made from stainless-steel, acrylic, and polypropylene plastic. Custom Abaco Logo Travel Tumbler 16oz comes with double-wall construction. Custom Biggie Color Changing Tumbler 16oz is made of AS material. Personalized Metallic Foil TM ThermalTraveller Tumbler features high-polish luster. Promotional Full-Color Travel Mug 16oz features double wall insulated construction. Custom Vibe Large Candy Jar w-Arch Lid 27oz is made from high-quality glass. Custom ThermoServ Flair NEW Tumbler w-Sublimation 20oz is made of solid polymer material. Custom Stainless Steel Metallic Sorbet Tumbler 16oz is made of stainless steel and plastic liner. Custom Stainless Steel Thermos 16oz is made of stainless steel and plastic liner. Custom Stainless Steel Tumbler w-Dotted Rubber Grip 16oz is made of stainless steel and plastic liner. Custom Riptide Tumbler 20oz is made of durable material. Custom Logo Sydney Tumbler 16oz is made from polypropylene and stainless steel. Customizable Trom Logo Desktop Mug 13oz is made from break-resistant durable plastic. Custom ThermoServ NEW Travel Tumbler 24oz is made of durable material. Custom Full Color TakeOut Mug 16oz is designed with full-color wrap-around graphics. Custom Renaissance Deep Etch Beverage Collection 12oz is made from high-quality glass. Promotional Executive Double Deep Etched Glass 14oz is made from high-quality glass. Promotional Executive on Rocks Deep Etched Glass 8oz is made from high-quality glass. Promotional Executive Deep Etched Glass 11oz is made from high-quality glass. 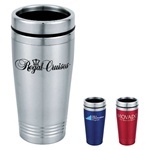 Custom Statesman Travel Mug 16oz is made from break-resistant ultra-thick wall plastic. Personalized Stemless Deep Etched Glass 15oz is made from high-quality glass. Personalized White Wine Stemless Deep Etched Glass 9oz is made from high-quality glass. Custom Imprinted Brevard Logo Travel Tumbler 16oz is made from stainless steel material. Custom ThermoServ NEW Smooth Tumbler 16oz is made of lightweight material. Custom White Stemless Vina Glass 17oz is made from high-quality glass. Personalized Stemless Deep Etched Wine Glass 12oz is made from high-quality glass. Custom Supernova Steel City Tumbler 14oz features stainless steel double-wall construction. Personalized VisionSteel Logo Caddy is made from break-resistant plastic and polished/brushed stainless-steel. Custom iM17 VisionSteel Travel Tumbler 16oz is made from stainless-steel. Custom Refil Logo Water Bottom 27oz is made from Eastman TRITAN™. Imprinted Hudson Logo Travel Mug 16oz is made from stainless-steel, polypropylene plastic, and acrylic. Custom Red Wine Stemless Glass 16.75oz is made from high-quality glass. Promotional White Wine Stemless Glass 21oz is made from high-quality glass. Custom Deep Etched Mixing Glass 16oz is made from high-quality glass. Custom Haworth Deep Etched Mug 10oz is made from high-quality glass. Custom ThermoServ Flair NEW Tumbler w-Sublimation 32oz is made of solid polymer. Custom Deep Etched Logo Mixing Glass 20oz is made from high-quality glass. Personalized Deep Etched Capri Mug 10oz is made from high-quality glass. Personalized Sterling Deep Etch Beverage Glass 16oz is made from high-quality glass. 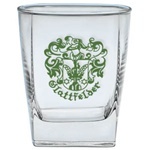 Personalized Deep Etched Logo Sterling DOF 13oz is made from high-quality glass. Promotional Glacier Deep Etched Glass 11.5oz is made from high-quality glass. Custom ThermoServ NEW Smooth Tumbler 24oz is made of lightweight material. 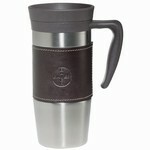 Custom ThermoServ NEW Voyager Tumbler 16oz is made of durable material. Customizable Thumbprint Mug 12.5oz is made from high-quality glass. Personalized Tech Tumbler 14oz is made from stainless-steel. 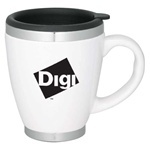 Logo Imprinted Desk Mug w-Lid 16oz is made from stainless-steel, acrylic, and polypropylene plastic. Custom Mule Barrel Moscow Mug 14oz is made of durable material. Custom Tritan16 Double Wall Tumbler 16oz is made of durable tritan material. Double-wall construction, vacuum insulated. Clear, press-on lid with slide closure. It can conveniently keep drinks hot for 5 hours and cold for 15 hours. Works as a tumbler or drink insulator. Personalized Tall Stem Deep Etched Goblet 10.5oz is made from high-quality glass. Custom Tall Stem Deep Etched Wine Glass 8.5oz is made from high-quality glass. Promotional Stemless Deep Etched Martini Glass 13.5oz is made from high-quality glass. Personalized Deluxe Cooler Set 15oz is made from high-quality glass. Promotional Deluxe Beverage Glass 12oz is made from high-quality glass. Custom Optic Haworth Logo Mug 10oz is made from high-quality glass. Promotional Logo Hampton Tumbler 14oz is made from stainless-steel, polypropylene plastic, and acrylic. Personalized Deep Etched Ravenna Jar 8oz is made from high-quality glass. Custom Champion Mug 10oz is made from high-quality glass. Personalized Imprinted Martin Tumbler 16oz is made from stainless-steel, acrylic, and polypropylene plastic. Imprinted Curve Tumbler w-Ceramic Look 16oz is made from Polyvinyl Chloride plastic, Polypropylene plastic, and stainless-steel. Personalized Deep Etched Ravenna Jar 16oz is made from high-quality glass. Personalized Deep Etched Ravenna Jar 26oz is made from high-quality glass. Custom Crystal Clear Deep Etched Coffee Mug 13oz is made from high-quality glass. Custom Imprinted Manhattan Martini 10oz is made from high-quality glass. Customized Phantom Tumbler 16oz is made from stainless-steel. Custom Deep Etched Logo Mug America 12 oz is made from high-quality glass. Custom Deep Etched Apothecary Jar 8oz is made from high-quality glass. Custom Small Ellana Deep Etched Carafe is made from high-quality glass. Custom Imprinted VisionSteel Apothecary 14oz is made from polished/brushed stainless-steel and acrylic. Custom Contour VisionSteel Desktop Mug 15oz is made from stainless-steel and acrylic. Promotional Soupreme™ Soup Mug 15oz is made from break-resistant high-quality plastic. Custom Ferdinand Tankard 18oz is made from high-quality glass. Custom Deep Etched Apothecary Jar 16oz is made from high-quality glass. Promotional Luna Rocks Deep Etched Glass 8.75oz is made from high-quality glass. Custom Deep Etched Apothecary Jar 26oz is made from high-quality glass. 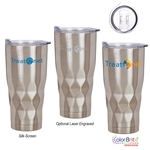 Personalized Ridge Frosted Tumbler 16oz is made from stainless-steel and acrylic. Customizable Classic Martini 7.25oz is made from high-quality glass. Custom Tritan26 Double Wall Tumbler 26oz is made of durable tritan material. Custom ThermoServ NEW Endeavor Tumbler 16oz has durable tritan material outer shell. Personalized VisionSteel Imprinted Travel Tumbler 16oz is made from stainless-steel and plastic. Promotional VisionSteel Logo Office Mug w-Lid 14oz is made from plastic copolymer and stainless-steel. Personalized Small Vibe Etched Jar w-Lid 12.25oz is made from high-quality glass. Custom Contigo Shake Red Plastic Bottle 28oz is made of polypropylene material. Custom Contigo Shake Black Plastic Bottle 28oz is made of polypropylene material. Custom Contigo Shake Orange Plastic Bottle 28oz is made of polypropylene material. Custom Contigo Shake Apple Plastic Bottle 28oz is made of polypropylene material. Custom Contigo Shake Yellow Plastic Bottle 28oz is made of polypropylene material. Promotional Imprinted Punch Tumbler 17oz is made from stainless-steel. Custom Stainless Steel and Satin Acrylic Mug 16oz is made from stainless-steel, acrylic, and polypropylene plastic. Custom Large Deep Etched Vibe Jar 27oz is made from high-quality glass. Logo Imprinted Bubba Keg Mug 34oz is made from stainless steel and polypropylene plastic. 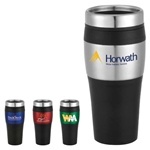 Promotional Hefty Travel Mug 22oz is made from stainless steel, polypropylene plastic, and stain-finish acrylic. Custom Contigo Madison Red Copolyester Bottle 24oz is made of tritan copolyester material. Custom Contigo Madison Charcoal Copolyester Bottle 24oz is made of tritan copolyester material. Custom Contigo Madison Orange Copolyester Bottle 24oz is made of tritan copolyester material. Custom Contigo Madison Pink Copolyester Bottle 24oz is made of tritan copolyester material. Custom Contigo Madison Lime Copolyester Bottle 24oz is made of tritan copolyester material. Custom Classic Leather Cutter & Buck Tumbler 16oz is made from stainless-steel. Custom Contigo Cortland Clear Copolyester Bottle 24oz is made of tritan copolyester material. Custom Contigo Cortland Blue Copolyester Bottle 24oz is made of tritan copolyester material. Custom Contigo Cortland Red Copolyester Bottle 24oz is made of tritan copolyester material. Custom Contigo Cortland Charcoal Copolyester Bottle 24oz is made of tritan copolyester material. Custom Contigo Cortland Orange Copolyester Bottle 24oz is made of tritan copolyester material. Custom Contigo Cortland Lime Copolyester Bottle 24oz is made of tritan copolyester material. Custom Arches Cut Deep Etched Flute 6oz is made from lead-free crystal. Personalized Classic Cutter & Buck Mug 14oz is made from Stainless Steel. Custom Contigo Addison Clear Copolyester Bottle 24oz is made of tritan copolyester material. Custom Contigo Addison Blue Copolyester Bottle 24oz is made of tritan copolyester material. Custom Contigo Addison Red Copolyester Bottle 24oz is made of tritan copolyester material. Custom Contigo Addison Charcoal Copolyester Bottle 24oz is made of tritan copolyester material. Custom Contigo Addison Orange Copolyester Bottle 24oz is made of tritan copolyester material. Custom Contigo Addison Pink Copolyester Bottle 24oz is made of tritan copolyester material. Custom Contigo Addison Lime Copolyester Bottle 24oz is made of tritan copolyester material. Custom Contigo Byron Matte Black Steel Bottle 16oz is made of stainless steel and silicone material. Custom Contigo Byron Stainless Steel Bottle 16oz is made of stainless steel and silicone material. Custom Contigo Byron Blue Steel Bottle 16oz is made of stainless steel and silicone material. Custom Contigo Byron Red Steel Bottle 16oz is made of stainless steel and silicone material. Custom Contigo Byron Gun Metal Steel Bottle 16oz is made of stainless steel and silicone material. Custom Deep Etch Set of Old Fashion Two Glasses is made from high-quality glass. Custom Contigo Kangroo Clear Copolyester Bottle 24oz is made of tritan copolyester material. Custom Contigo Kangroo Blue Copolyester Bottle 24oz is made of tritan copolyester material. Custom Contigo Kangroo Red Copolyester Bottle 24oz is made of tritan copolyester material. Custom Contigo Kangroo Charcoal Copolyester Bottle 24oz is made of tritan copolyester material. Custom Contigo Kangroo Orange Copolyester Bottle 24oz is made of tritan copolyester material. Custom Contigo Kangroo Pink Copolyester Bottle 24oz is made of tritan copolyester material. Custom 3-Piece Logo Imprinted Wine Set is made from high-quality glass. Personalized 3-Piece Imprinted Wine Set is made from high-quality glass. Custom Contigo Matte Black West Loop Steel Bottle 16oz is made of stainless steel. Custom Contigo Stainless Steel West Loop Steel Bottle 16oz is made of stainless steel. Custom Contigo Blue West Loop Steel Bottle 16oz is made of stainless steel. Custom Contigo Red West Loop Steel Bottle 16oz is made of stainless steel. Custom Contigo Green West Loop Steel Bottle 16oz is made of stainless steel. Custom Contigo Gun Metal West Loop Steel Bottle 16oz is made of stainless steel. Personalized Pitcher with Pint Glass Set includes 60-ounce one pitcher and 16-ounce four glasses. Custom Set of Pitcher and Four Mugs is made from high-quality glass. Personalized Renaissance Collection Pitcher 44oz is made from lead-free crystal. Custom Deep Etched Old Fashion Set of 4 Glasses is made from high-quality glass. Custom Deep Etch Set of Old Fashion Four Glasses is made from high-quality glass. Custom Deluxe Deep Etch Beverage Premium 13oz is made from high-quality glass. Promotional Deep Etched Logo Pitcher w-Pint Glasses Set is made from high-quality glass. Custom Old Fashion Sterling Deep Etched Glasses 13oz is made from high-quality glass. Custom Deep Etched Pitcher w-Mug Set is made from high-quality glass. Custom Patrician Deep Etched Gift Set is made from lead-free crystal and high-quality glass. Promotional Red Small Leopard Plate is made from lead-free crystal. Promotional Carafe Selection Gift Set is made from high-quality glass. Promotional Three Piece Martini Set is made from lead-free crystal and high-quality glass. Custom Renaissance Logo Imprinted Pitcher Set comes with 44-ounce pitcher and 14-ounce 4 glasses. Add unique images, business names and more to make these items stand out. Our high-quality custom mugs are perfect for busy eateries, hotels, boardrooms, bars and more. All of our products are made with durability, so they are sure to withstand repeated use, lasting you for many years to come. Whether you’re looking to restock your hospitality business, give a gift to your staff, or hand out promo items to your customers and leads, you’re sure to find exactly what you’re looking for in our catalogue. Have a big event coming up? Our engraved custom mugs are the perfect idea for a customized, brand-aware touch. Whether you’re hosting a corporate event, have a stand at an industry expo, or are putting together promotional gift bags, take your pick of drinkware to give away and ensure your marketing message gets out there. Customize your pick with creative images or business logos, and your target audience will think of you every time they reach for their beverage. Our selection of travel drinkware is a popular choice, particularly for conferences, where attendees need reusable cups as they wander from presentations to trade tables. Use them as giveaways, or gift them to your employees who can carry your brand out with them, acting as free advertising for your business. Choose different colors to make your logo pop and leave a great impression with your customers and prospects. Order your custom mugs from LogoToYou.com and enjoy top-notch customer service. Make use of our online tools to upload artwork and logos and add colors before heading to checkout. Vibrant and economical, our products are the perfect choice for brands and individuals looking to customize their gifts. Not too sure where to start? Get in touch with our sales team who will talk you through the order process. Contact us today to find out more about our services or order your FREE samples to get a closer look at our products. I just wanted to share with you my reaction to my most recent purchase. The school store ordered stainless steel mugs and they arrived yesterday afternoon. They were delivered to me this morning and I have already had many inquires by students and staff waiting to make a purchase (they aren’t even on the shelves yet). I want to say THANK YOU for taking the time to communicate with me during the order process. I know that our customers will be very satisfied with their purchases. thank you so much for the customer service you provided. The cups were astonishing, thank you. Who would provide their own personal cell phone number to thier customers. I would definitely recommend you to many. I apologize for the delay in sending a reply. Have a Great DAY! I did receive the items in time! We received our new mat today. I am very pleased with it. It looks fantastic. I LOVE the rug for The Monkey's Treehouse!! It is exactly what I was looking for and your company was significantly less expensive than others I found. I am very happy with it!!! I am so happy with the mugs. They look amazing. All three boxes were here waiting for me in the mailroom. Great work and right on time. Chris - just a note to let you know how pleased we were with our order.